Another initiative of ours is called Charge at Home. Primarily this focusses on increasing the number of electric cars on our roads in order to reduce carbon emissions from fossil fueled vehicles. However, it’s a bit like the old question of the chicken or the egg: If there are no charging points available for electric cars then interest in upgrading to a climate smart vehicle will be low. But if the infrastructure is in place, is easily accessible and simple to use, then interest in electric cars will go up. So what is the best way to move forward? We have already assisted many housing associations when they installed charging points in their underground car parks. Today, there are around 350 charging points in Sjöstaden properties with an additional 31 outdoor charging points available, one of which offers fast charging. It is said that we are the most vehicle charger-friendly district in Sweden. But it doesn’t end there and our goal is to have 1.000 charging points in our underground car parks by 2020. Charge at home is cofinanced by Naturvårdsverket. Klimatklivet (The Climate Shift) is a Swedish government initiative that supports climate-smart programs that reduce carbon dioxide emissions at a local level. 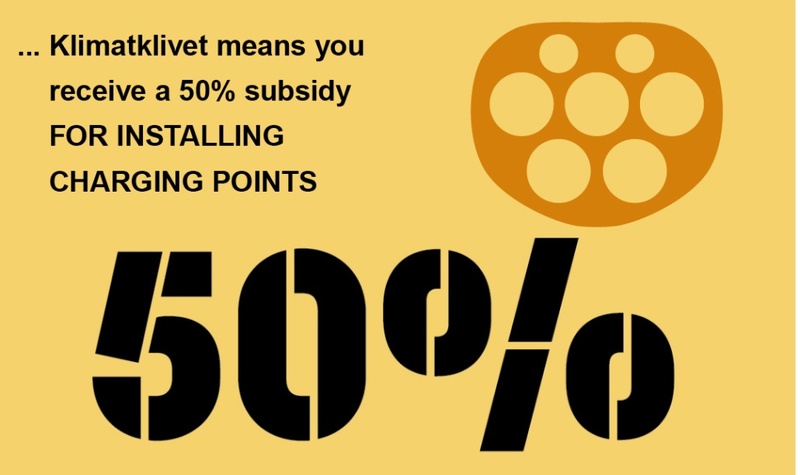 Klimatklivet means that local housing associations can receive grants totaling 50% of installation costs for a single charging point. If there are no charging points in your underground car park, then you should raise the issue in a motion to the board of your housing association. 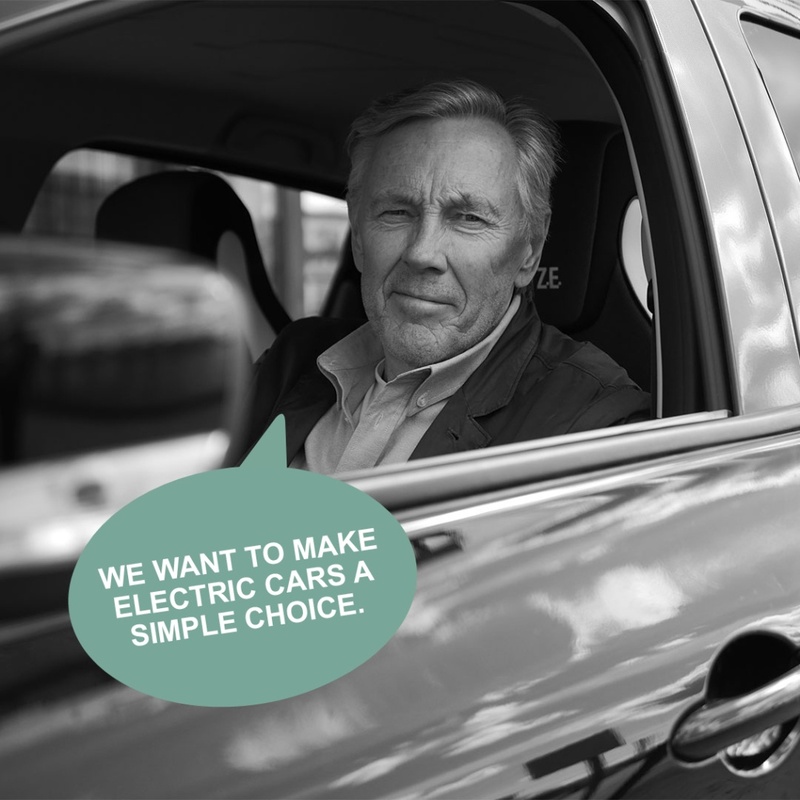 Electric car guru, Henric Gustafson. So what is the charge then? After purchase and installation, it works out at around SEK 10.000 including the 50% subsidy. If you calculate a 10-year depreciation on equipment and incurrent electricity consumption, the owners of electric cars will pay approximately SEK 250 in addition to their normal parking fees. among members of a housing association. What electric car should I choose? When choosing which electric car is right for a particular household, we usually talk about daily needs compared to upper limit needs. 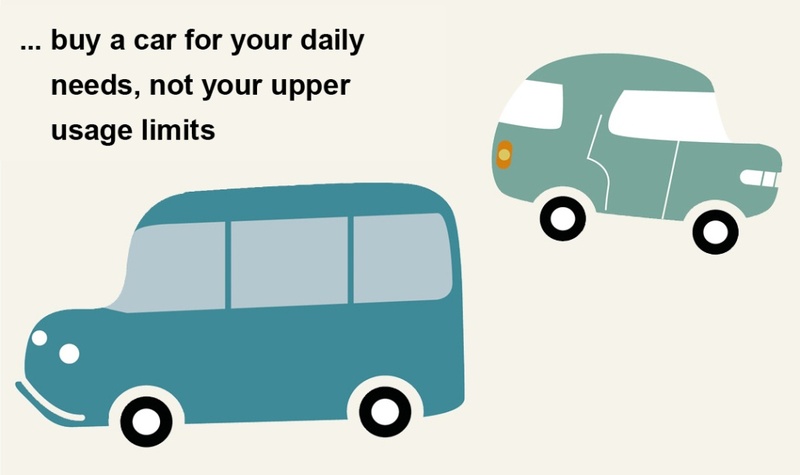 How many kilometers do you drive daily? Probably not so many. Today, Swedes drive around 40 kilometers per day (figures supplied by the Swedish Transport Administration). But if you live in town, you are likely to drive a lot less. 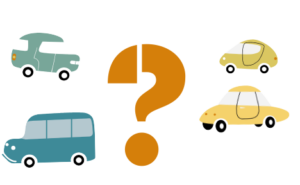 On average, a car is parked more than 90% of the time and therefore it is wise to choose a vehicle that corresponds with your daily needs. And keep in mind that a lighter car uses less energy. When the time comes for a longer road trip, then it is better to rent a bigger car. Another option is to plan your journey in your own electric vehicle according to the availability of charging points along the route – you’ll be surprised when you see how many are out there! Click here for an updated map over charging points. 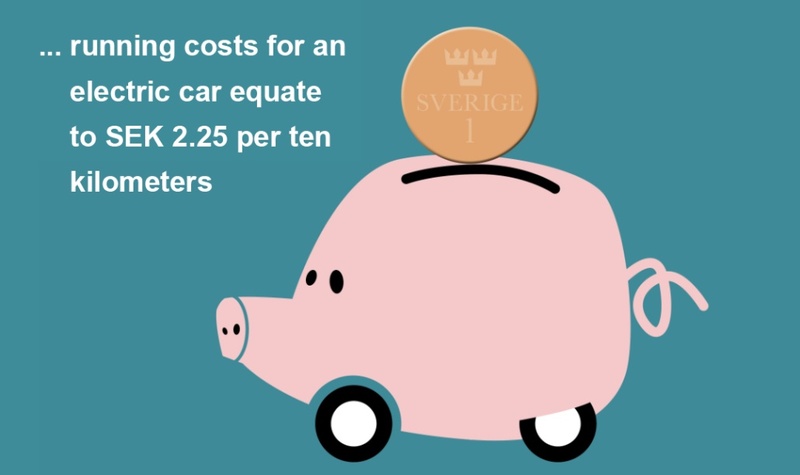 The cost of running an electric car works out at SEK 2.25 per 10 kilometers compared with a fossil fueled vehicle which will set you back around SEK 12 for the same distance travelled. 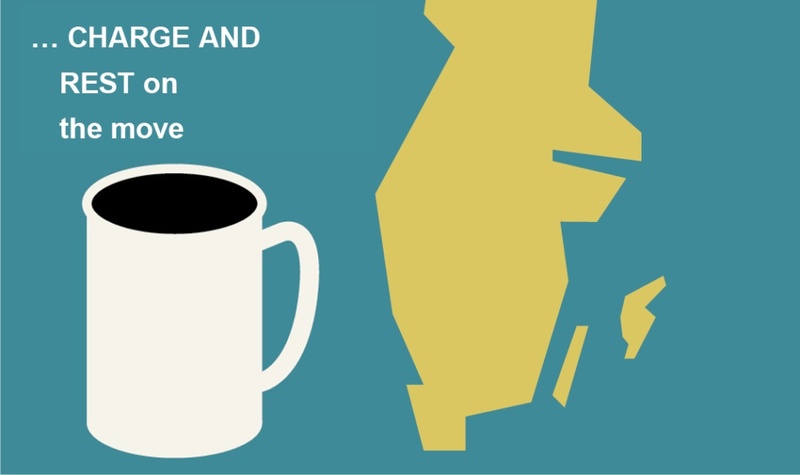 In addition, maintenance costs are lower thanks to fewer moving parts. There is also the added bonus that electric cars are quiet and fun to drive. 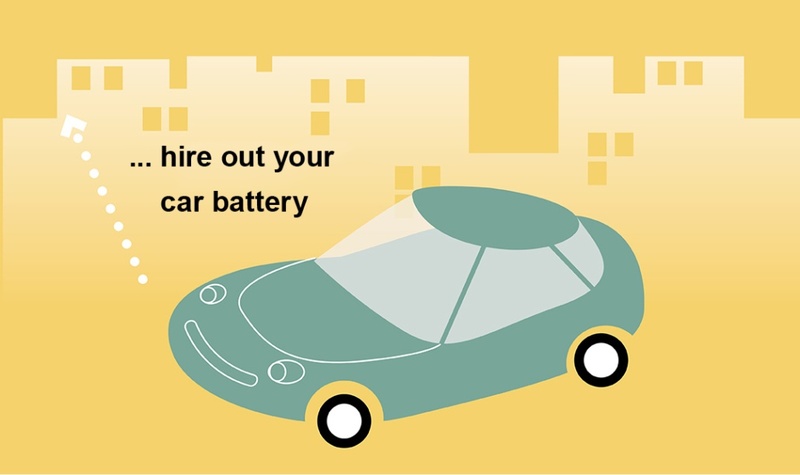 Imagine being paid by your housing association for the use of your electric car battery when the vehicle is parked. Together with researchers and carefully selected suppliers, we are going to test the concept this Autumn.  Here’s how we reasoned: Solar cells mounted on the roof are used to charge a battery in the building’s basement and our electric cars during the daytime. 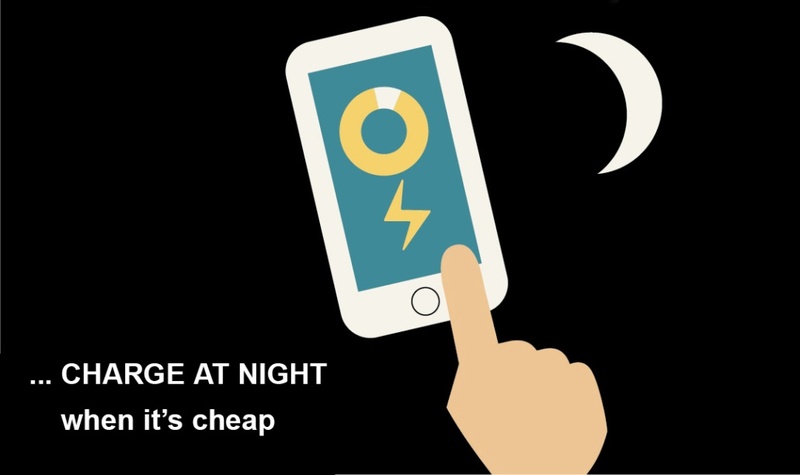 When we get home in the evening, which is when the need for power is at its highest, we can use this surplus electricity to cut energy costs at peak usage times, something which we became significantly aware of on January 1st, 2018 when evening tariffs went up. What makes the concept viable is that there are now electric vehicles on the market that can both receive and provide electricity. If vehicle batteries are not regularly discharged below 20 percent, then a little extra molecular activity will keep their cells in good condition. 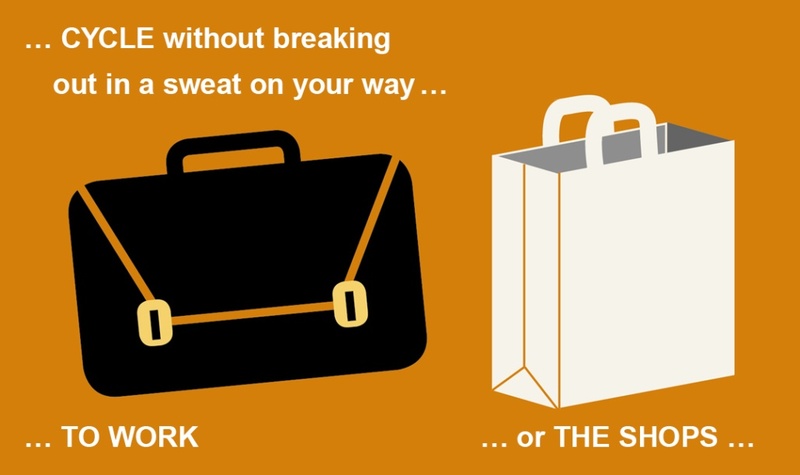 This does not mean that the car is unusable for the owner during the daytime, rather that you are able to choose whether to drive it or leave it parked providing an additional energy resource for your building. In Sjöstaden there are already car pools in operation. It is a “comfortable car owner option” for those of us who do not need to drive every day. 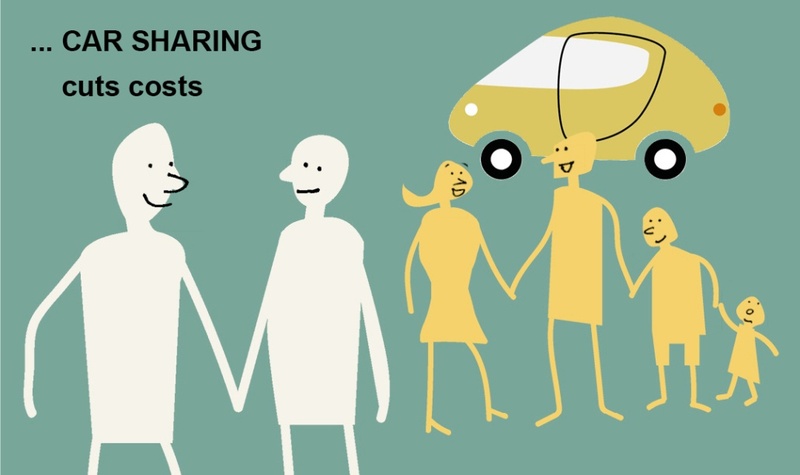 households share the vehicle that has its own charging point in the garage and which is serviced and maintained by a supplier. Booking these electric cars is easy using an app. If it is not available, you can book a car pool vehicle on the street instead. 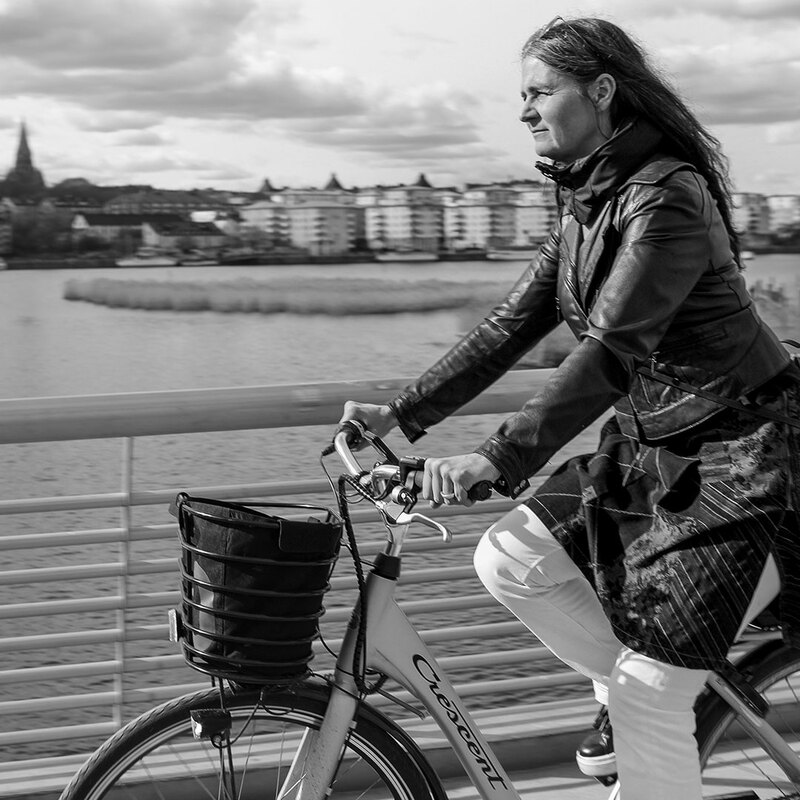 In 2017, 58 members of Sjöstadsföreningen tested commuting to work using electric bicycles.  The trial lasted three-weeks and proved to be very popular. Many people were completely sold on the idea and even set off on longer journeys covering distances that they would otherwise never have traveled by bike and along the way discovered that it could be done at a comfortable pace while wearing regular clothes. And the next step – the trial will be expanded with larger transport electric bicycles made available to Sjöstadsföreningen’s members. The idea is that housing associations will provide transport electric bikes for free to members as part of a pool agreement between neighbors. It is a sound and environmentally friendly alternative to taking your car to the shops or to drop off the kids at school or the day care center.